Last year the Taliban shot a 15-year-old girl in the head and neck while she was on a school bus with her friends and headed home. They shot her because of her strong campaign efforts for girls’ education. Malala Yousafzai survived the attack and lived to tell her story. 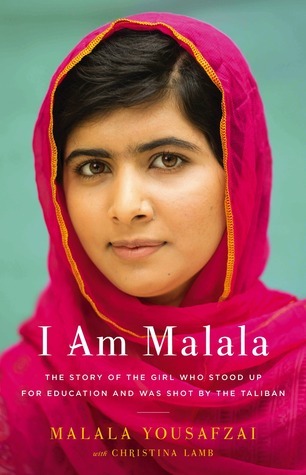 Her life is narrated in her memoir, entitled I Am Malala, which was released earlier this month. The gripping book recounts her upbringing in Pakistan’s Swat Valley, her family history and the environment around them. Her father, Ziauddin, influenced her love of education, declaring when she was a child that “Malala will be free as a bird.” Moreover he was a strong supporter of girls’ rights and started a school in the valley. Yousafzai writes about him in an idolizing tone, making it clear that they were a duo, fighting for education together. She paints a thorough picture of Pakistan by describing its history and the chronological events that shaped it. Yousafzai also writes about the horrors of the Taliban’s tactics, from beheadings to burning buildings, which led to school closings and girls staying at home. While the Taliban feared education, Malala knew the pen was the best way to achieve peace and understanding. Supported by her parents, she wrote an anonymous blog for BBC Urdu about life under the Taliban regime. She went on to appear in many interviews and a New York Times documentary. Yousafzai highlights her competitive nature, her hopes and her love of her valley. The picturesque mountains, breathtaking scenery and the hospitable people are what she holds dear to her heart. One of the photos in the book is a painting she made when she was twelve, depicting different religious symbols and above them a handshake. This is her vision of interfaith harmony. Yousafzai loves her books and is proud of them. That is why she hated leaving them behind when the family was evacuated during an earthquake. The vibe of this five-part story shifts from positive to melancholic to resilient. At some parts it is a historical narrative and in others it’s made up of personal experiences and views. She quotes Pakistani folk tales, poems and sayings, blending both the histories of family and country. Yousafzai now lives in Birmingham, England, the same place where she was treated after her shooting, yet describes feelings of homesickness and loneliness in her new home, made up as it is of a new environment and a different culture. Her recovery was considered miraculous. Her must-read memoir contains her championed message, that education is the way to combat terrorism and intolerance, a message for which she’s become the youngest person ever to be nominated for a Nobel Peace Prize. Her world, the halls of her school, the faces of her friends and family, and the air around her come alive on page. It is a testament to an ongoing fight against extremism and the liberation of those struggling under its ruthless grip.